That question should not sound as odd as it appears. If you are on a path to success, it does mean putting in the effort and time to get there! It isn’t something you do in your “spare” time, though it may be something you do part-time. You may love watching golf on TV, but Tiger Woods did not get to where he is by watching the tube. Strategic planning and action is what matters, not the actual amount of time, beyond a certain point. If you are still using that spare-time mentality to build your business, I have to tell you, you are not heading anywhere. I can tell you are putting all your comforts ahead of your goals. You’ve subconsciously decided that success is not as important to you. 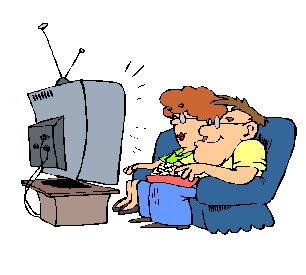 I am using TV as an example to bring how you use your time to your awareness. Replace it with any recreational activity, especially if you spend a lot of time on it, and are still building your business. It could be going to movies frequently, going to watch various sports, being at bars after work most days of the week and probably most of the weekend. OK, maybe not quite that much, but you get my drift. Have you placed a value on your time? It does have a value, you know. It’s not that hard to do. Start with how much you earn every month, divide that into 4 – that’s how much you make per week. Then divide that into 5, so you get your daily income. If you work 8 hours a day, divide that figure now by 8. That is your hourly value. Let’s put that into figures. Lets say you earn $38,400 per year. That $3,200 per month, so you earn $800 per week and $160 per day. For an 8 hr day, you earn $20 per hour. Do you really want to spend $20 for every hour you watch TV, without the prospect of more coming in? That is as simple as tossing money in the trash. Do you realise that watching TV or going to the pub is costing you up to 3 months (24/7!) of your time every single year? In the example above, on an annual income of $38,400, you’ve spent $9,600 watching TV. Yikes! Think what you could have invested that into, and, with leverage, made a hefty investment in yourself and your business. Care to do a rethink on the “importance” of TV (or whatever diversion is your flavour) in your life?